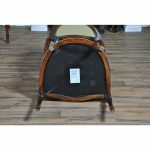 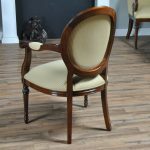 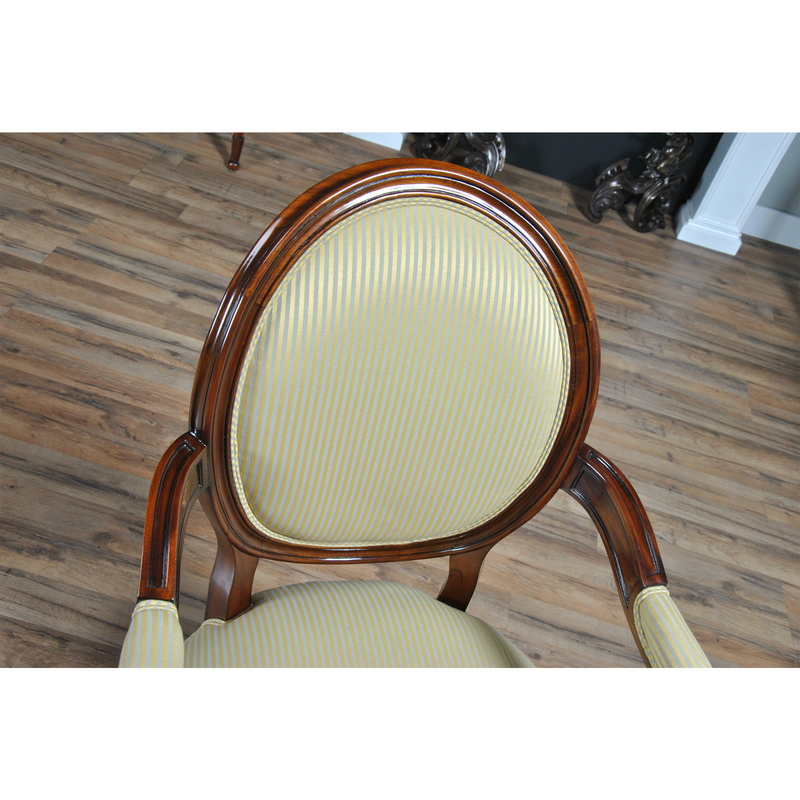 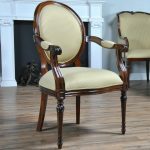 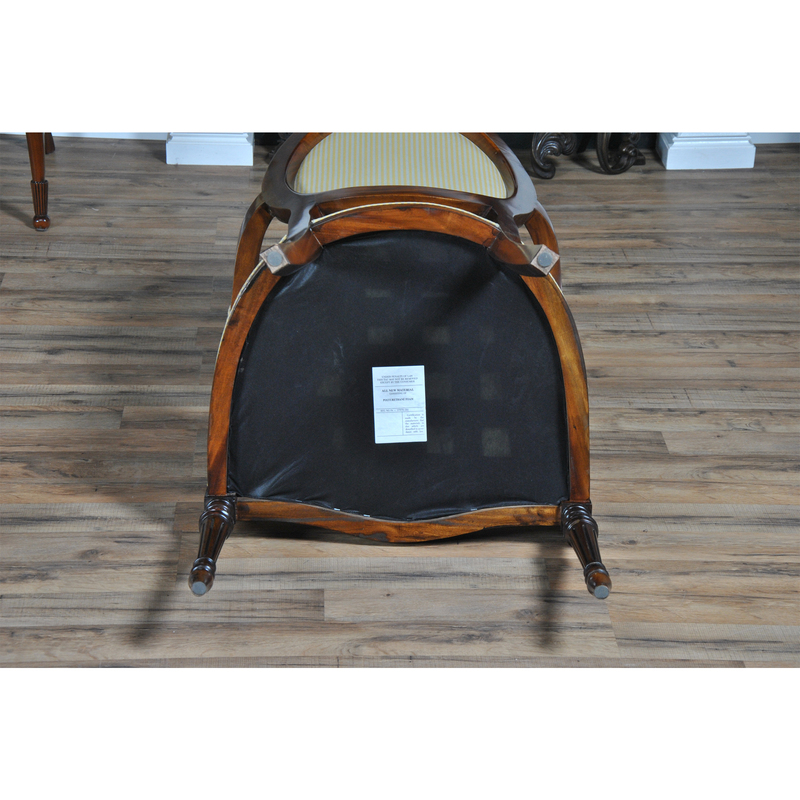 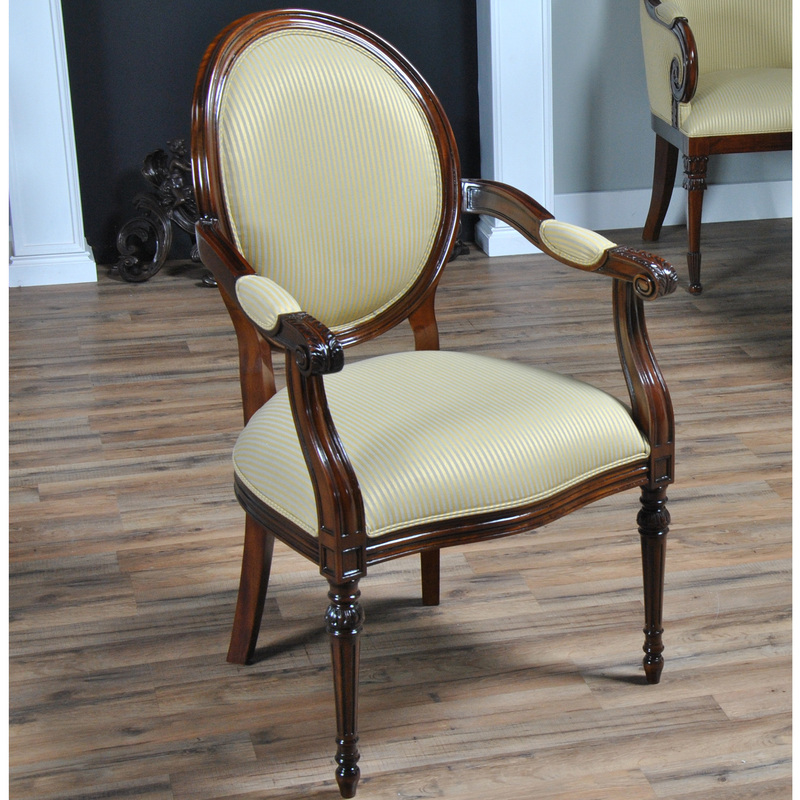 A set of ten Round Back Mahogany Chairs by Niagara Furniture with 2 arm chairs and 8 side chairs. 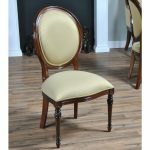 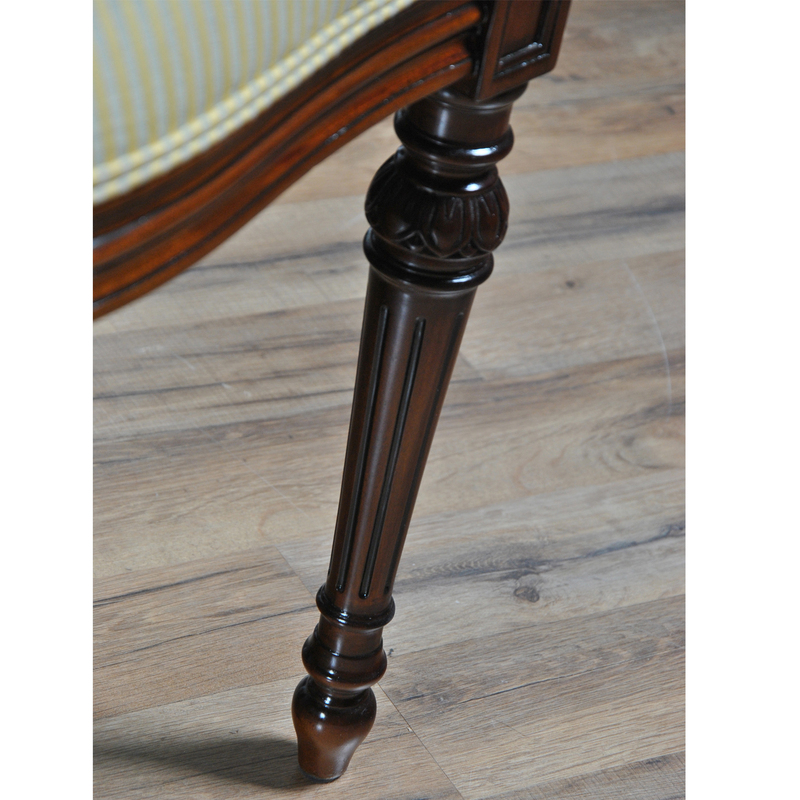 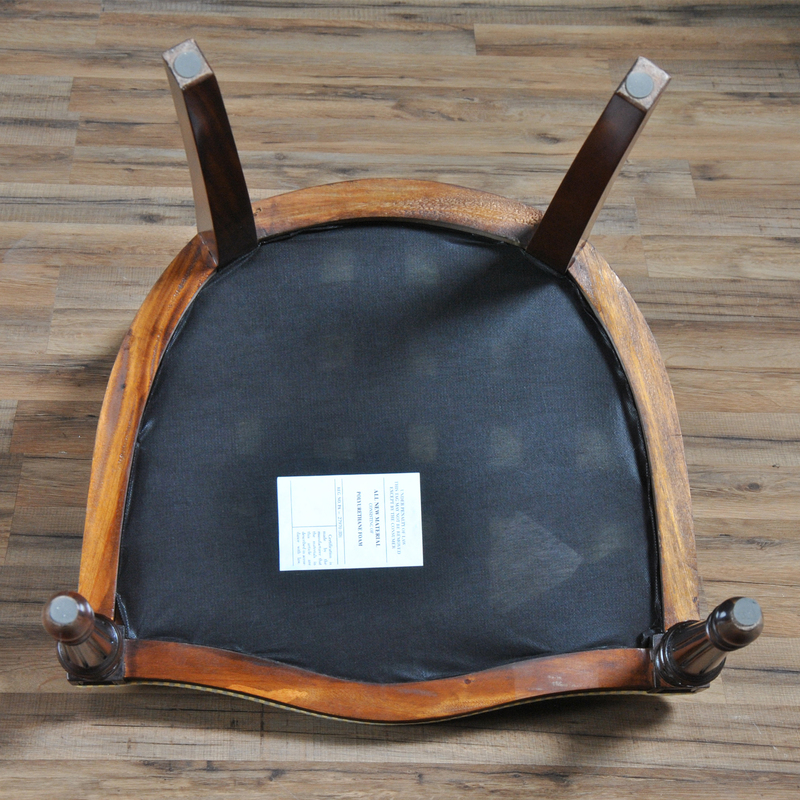 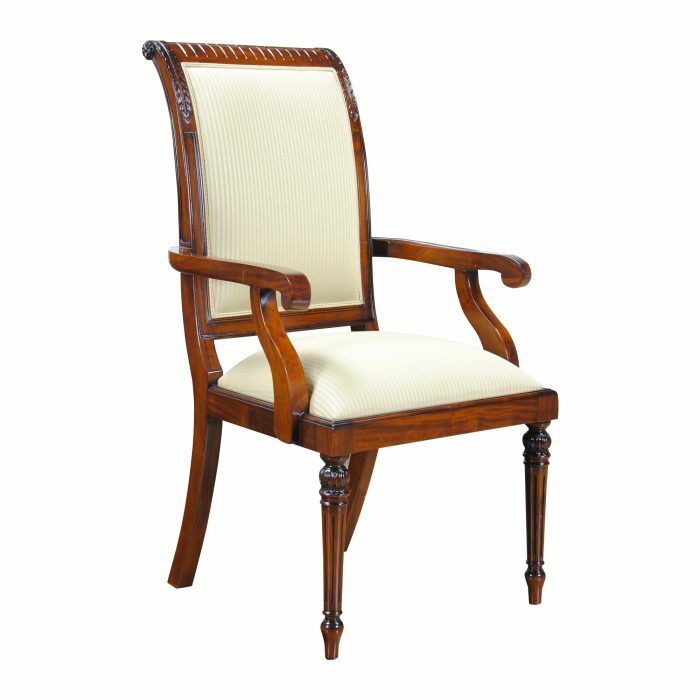 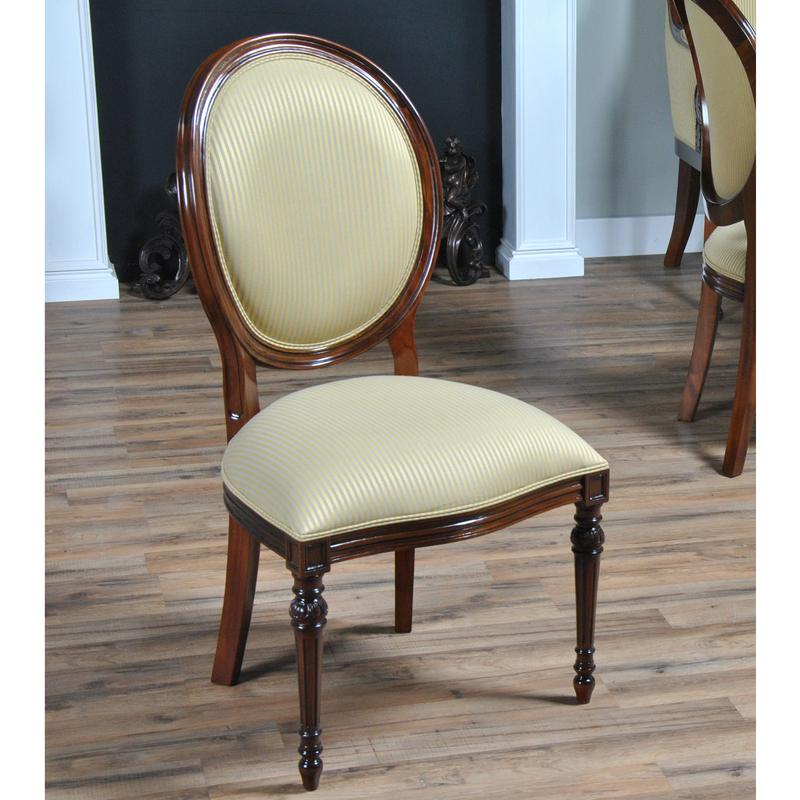 These high quality dining chairs are hand made from kiln dried solid mahogany. 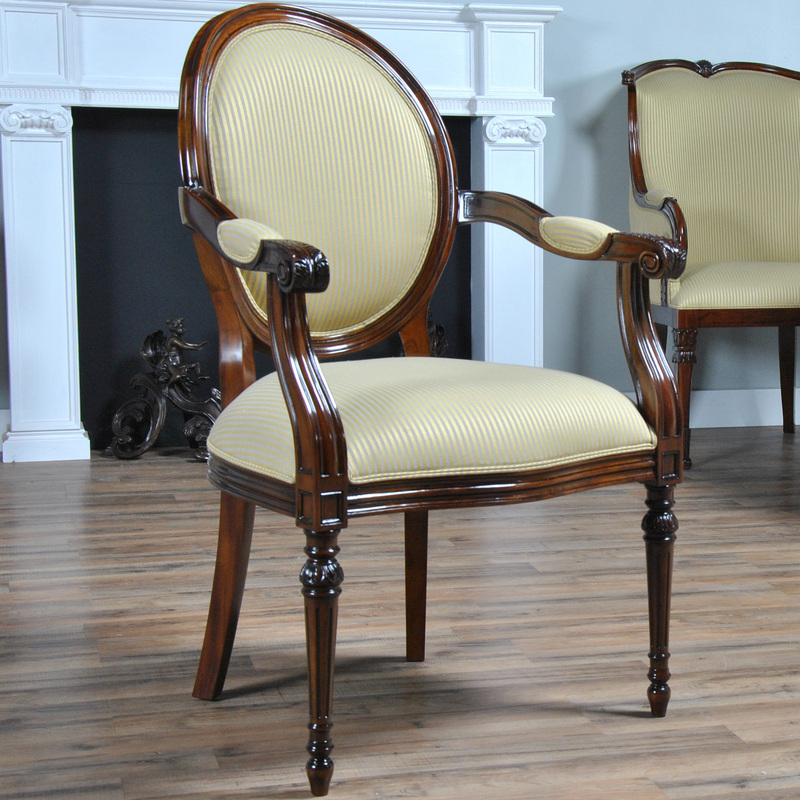 Neutrally upholstered in our most popular fabric these chairs are restrained in their design yet appointed with wonderful details. 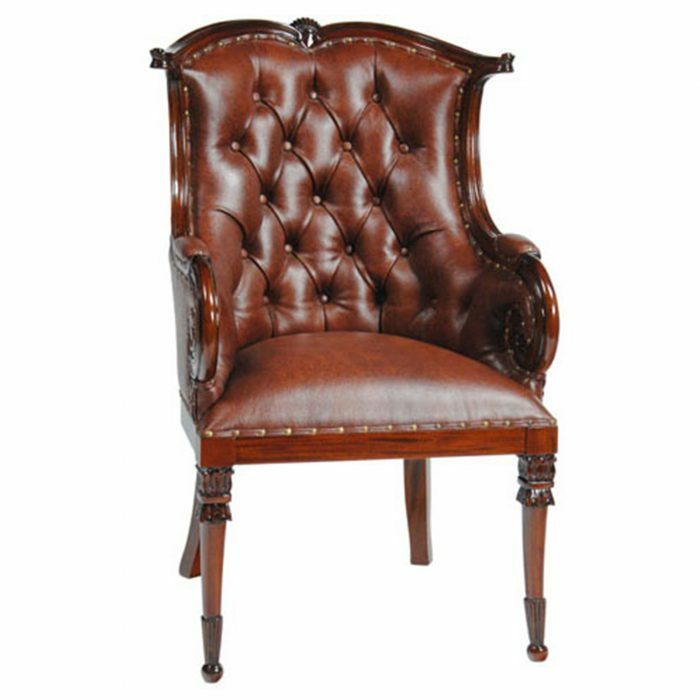 Solid construction including glue blocks on the seat corners will help lend to a lifetime of use in your home. 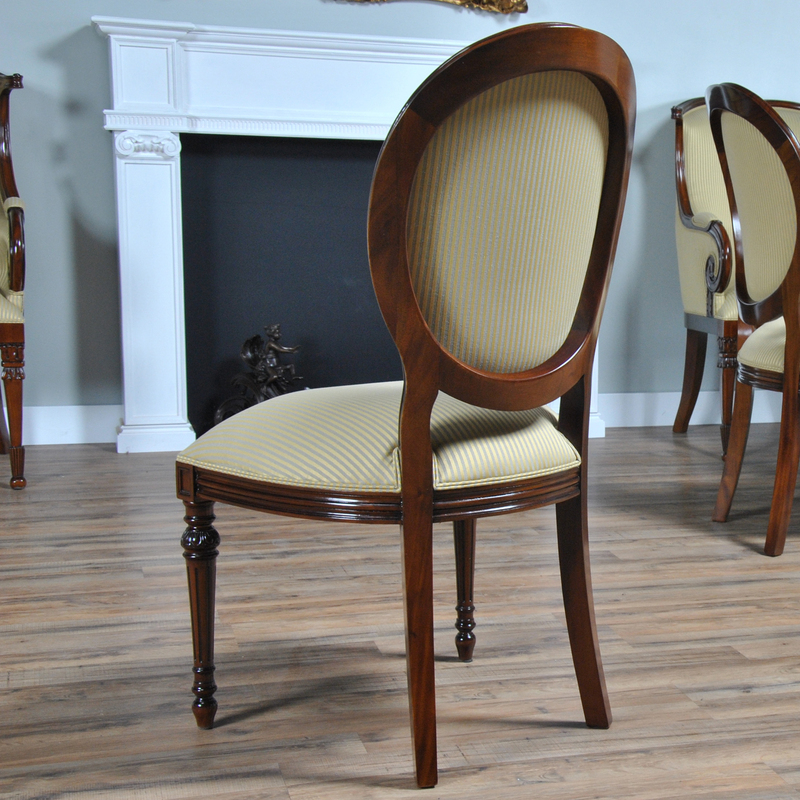 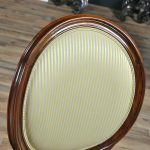 From the elegantly shaped oval back to the turned and reeded legs these chairs are both comfortable and beautiful. 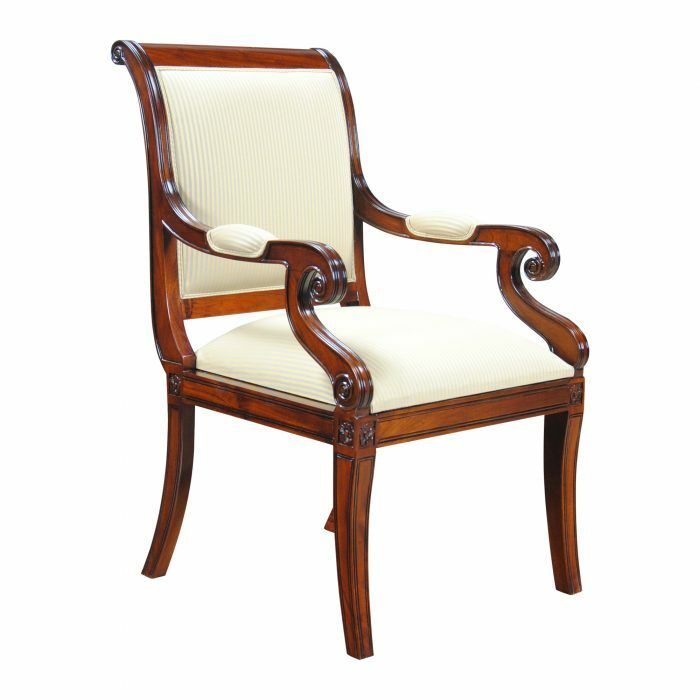 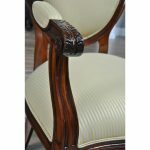 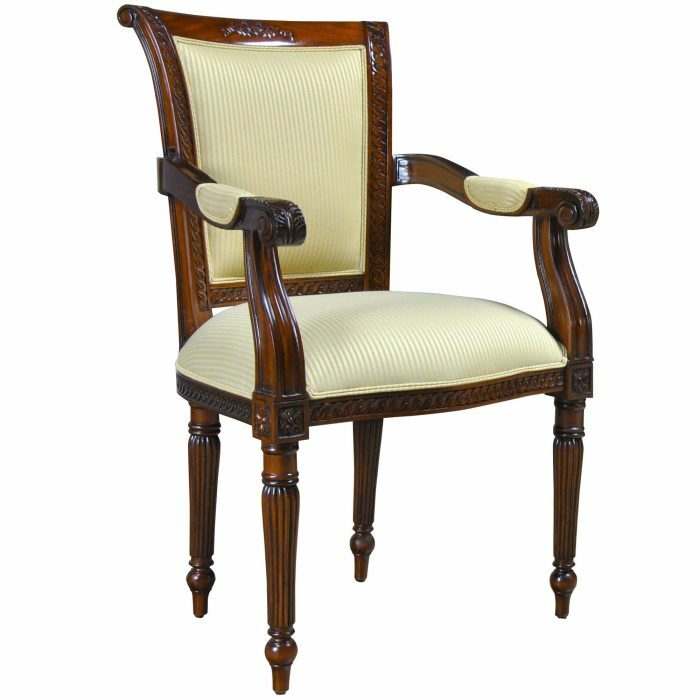 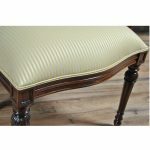 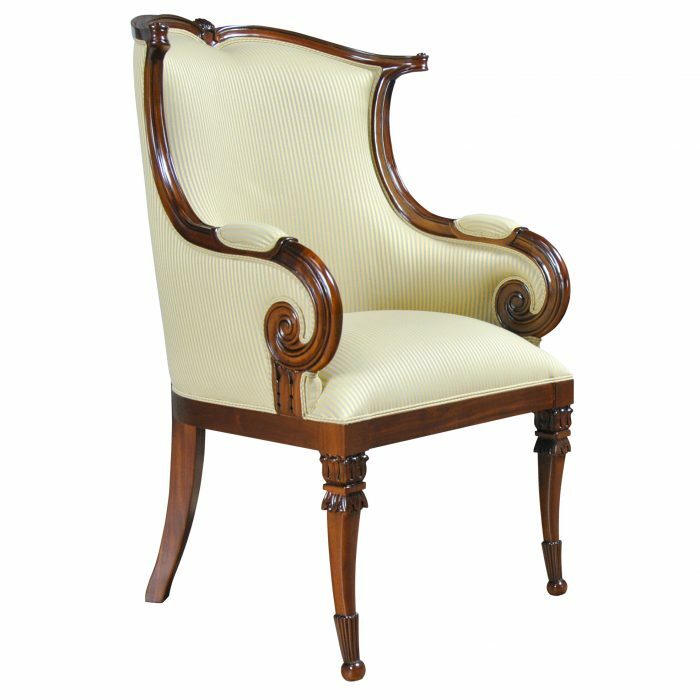 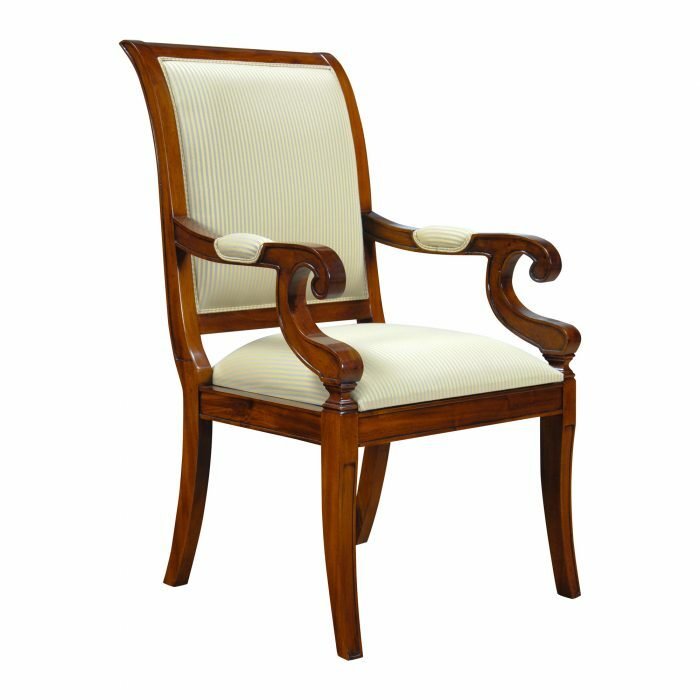 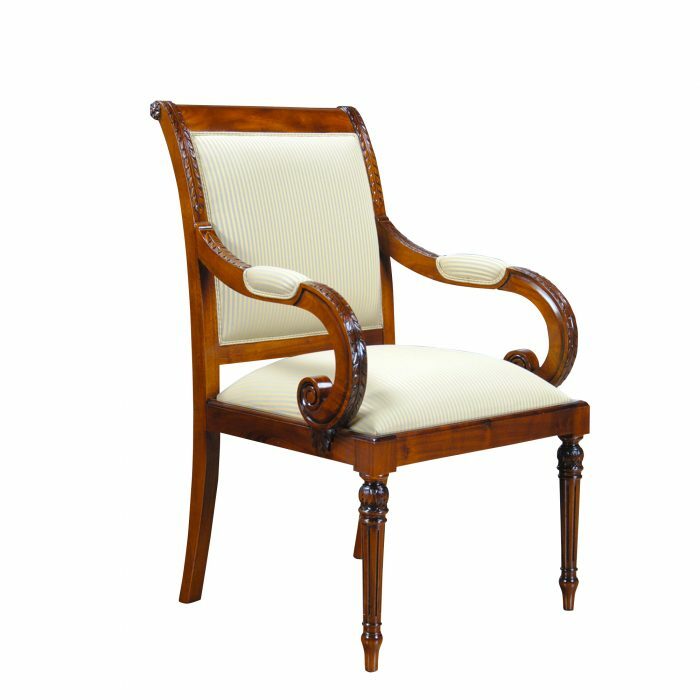 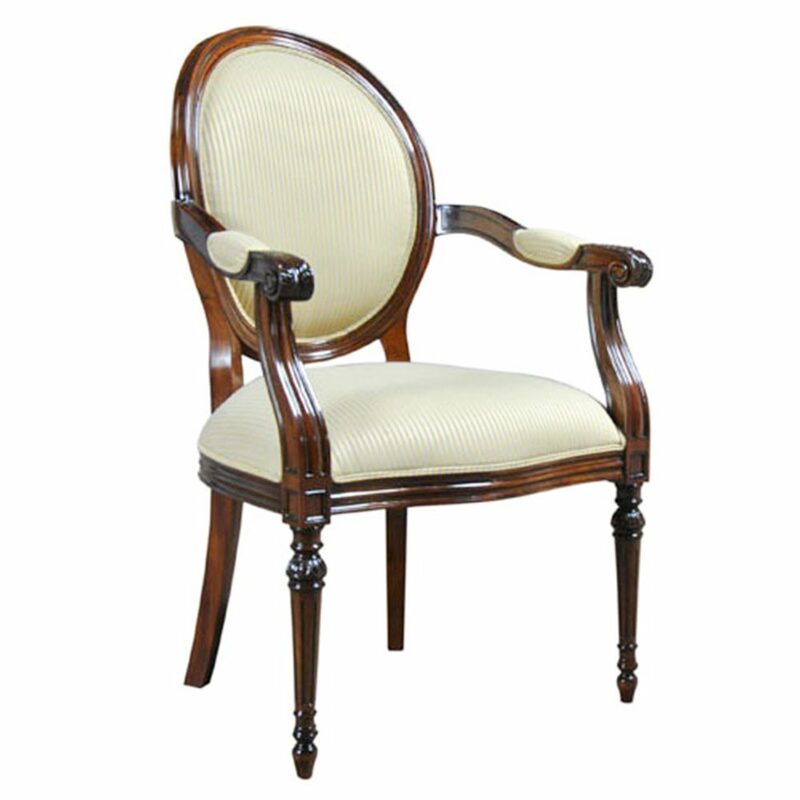 Scrolled, shaped and carved arms are also upholstered to lend a taste of luxury to your dining room.